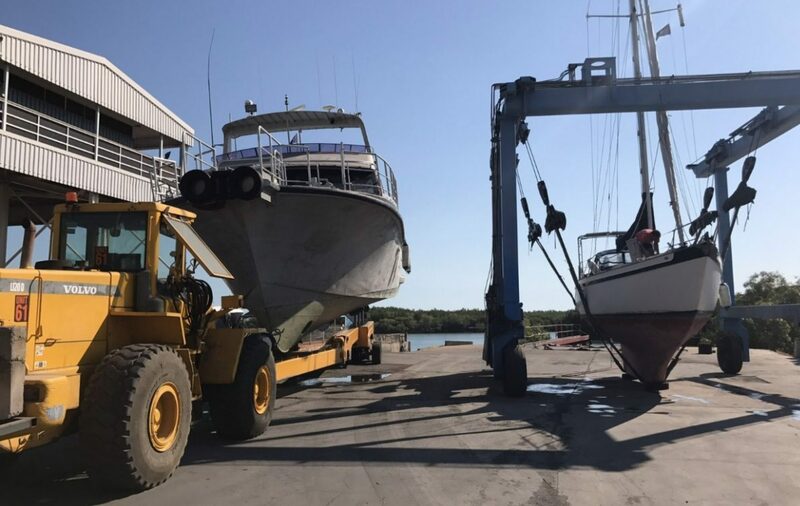 The new machine is a Roodberg launch & recovery trailer It can lift boat of any shape & size to 60 tons With a draft of up to 3mtrs, Meaning catamarans now have another option other than mobile cranes. Mast stays no longer require removal when lifting. 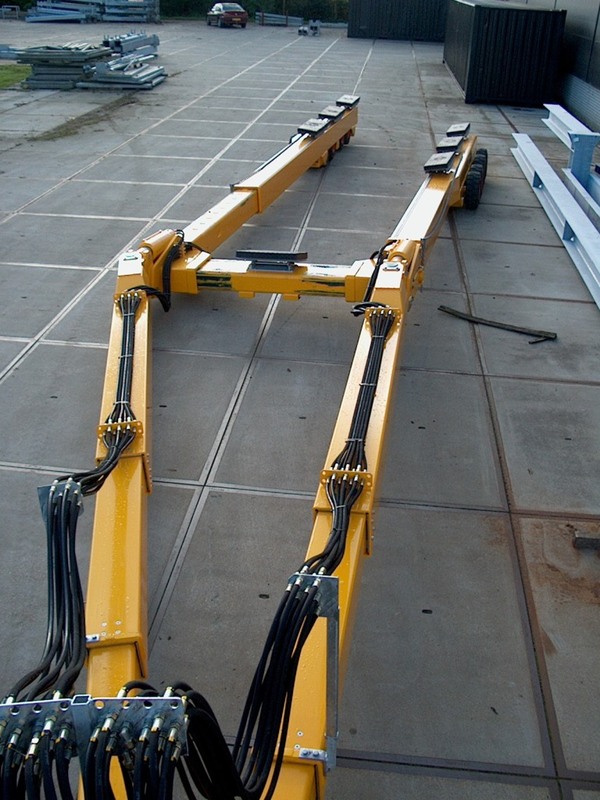 The trailer can transport boat on most hard surfaces.